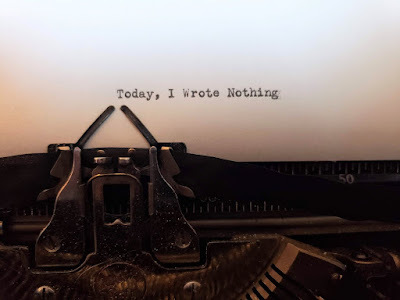 Today, I wrote nothing. Doesn't matter. I have a friend at work who listens to a lot of podcasts, and in an exchange we were having, she told me I should check out Open Mike Eagle's (now defunct) podcast, Secret Skin. 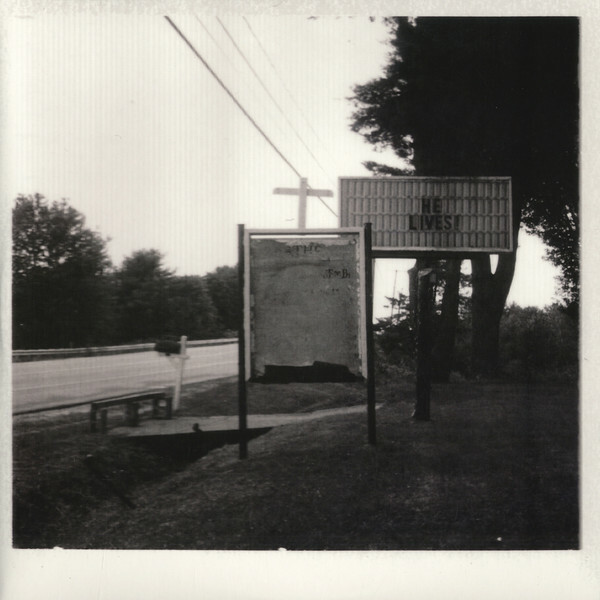 After browsing through the episode archive, I found one featuring rapper Billy Woods as a guest; this, I suppose you could say, was slightly serendipitous, as I had, within recent months, just started listening to Armand Hammer's Paraffin; Woods is, of course, one half of the duo. Woods explains that he used to frequent a bar in a neighborhood he lived in, and there was another regular who he struck up a conversation with regarding the somewhat obscure collected writings of Danill Kharms—the Soviet-era surrealist writer and poet. This patron had just finished reading Kharms’ collection Today, I Wrote Nothing, which was translated into English in 2007. The book pulls together a handful of short plays, poems, and prose, as well as a novella entitled “The Old Woman.” Woods read it, and became fascinated with the approach Kharms had taken to writing—more or less, creating vignettes—which is how Woods, in turn, approached writing technique for the work that would become his album of the same name. I was in the middle of listening to this episode of Secret Skin when I thought to check and see if any of the libraries in the area had a copy of Today, I Wrote Nothing—I was in luck, as one of the college libraries did, and I quickly drove across town to check it out. For what it’s worth, the book was not that great. I mean, I’ve read worse, certainly, but maybe I went into it with too high of expectations. Maybe I don’t know what I was expecting. There were parts of it that were Kafka-esque and captivating to read—but most of it came off as maddening. But that expression—Today, I Wrote Nothing—really resonated, for a number of reasons. Maybe a week or two before checking Today, I Wrote Nothing out from the library, I had run into an issue with my creative non-fiction/personal essay column, “The Column of Disquiet,” and the place where it was usually published—a website entitled The Next Ten Words. A rather verbose reflection on a vacation I had just returned from, as well as rumination on death and grief, was set to be published near the end of October. Only there was a problem—a technical problem. A technical problem, with The Next Ten Words, that was, surprisingly, not able to be solved in a timely fashion. A day turned into a couple of days. Then a couple of weeks. Then the weeks turn into a month. Then the month turns into nearly two months. In the interim, shortly after the problem proved to be too difficult to solve in, like, a day or two, I was encouraged by my longtime editor to publish the column on my own. But I found that, with this uncertainty over when the site would be running properly again, I wasn’t sure what to do—do I write something with the hopes that, by the time it was done, everything would be fixed? Or do I wait until I get the ‘all clear’ before sitting down to work on something? This ‘hole’ if you will in my own writing schedule, as time went on, began growing more problematic for me, and it wound up making my other writing projects (record reviews) more difficult to put together than they ever should be. It was in early December when I was trying to figure out what to do in order to move things forward creatively when my editor reached out and said that things were, finally, fixed with the site. That was, apparently, enough to get me to sit down and focus—well, that, and some pretty bad news coming out of my alma mater. However, the state of the website was short lived—within a couple of days, it had been hacked severely. It was at this point that my wife told me I needed to let this all go—and she was right, as she usually is. The Next Ten Words was never my website. It was just the site I wrote for regularly. But the things happening to it, and the time it was taking for those things to be repaired, were all out of my control, and I needed to learn how to step away. Stepping away means that, maybe, some day I’ll be in a place where I feel like I could write for the site again—but for now, I need to be my own advocate for my work, as well as when and how it ends up being put online. "Today, I Wrote Nothing" is like a lot of things I've written; it starts out being about one thing, then it winds up being about a lot of things.